Home Posts Tagged "raise the wage"
A day of action to raise the wage! 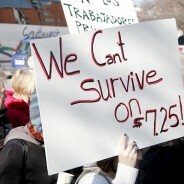 Take action for a living wage in Iowa. 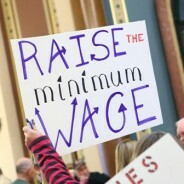 Iowa Senate Dems introduced a bill to raise the minimum wage to $8.75 - an insult to Iowa workers. Take action for a living wage!